Introducing the newest version of an old favorite, our best in outdoor home security, the Home-spy has been upgraded with the latest technology and two lights instead of one. This is by no means your ordinary motion sensitive flood light. 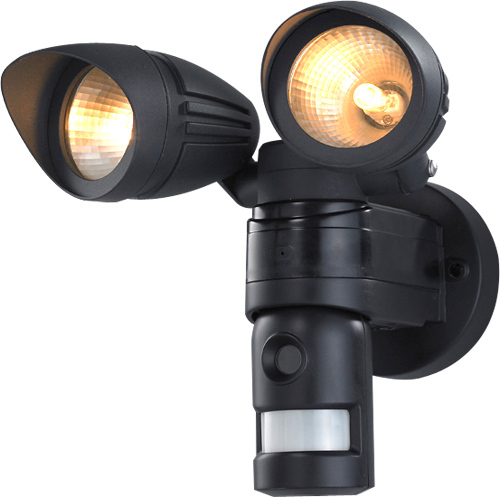 When the light comes on so does the video and audio, don't just light up the trespassers, record what they are doing. Select the setting you want, sensitivity, audio alerts, night mode, record mode. It records onto a SD card that is secured in the unit, and once it runs out of memory it records over the oldest file, so you can just set it and forget it.